How Far is Apex Anboli Nagar? 'ANBOLI NAGAR' (DTCP APPROVAL No. 03/2017) is strategically located on the rural highway at Puthagarm Village and connecting two major highways viz Vandalur -Kanchipuram & Bengaluru National Highway. It is 4.5kms off the Six lane Vandalur - Oragadam- Kanchipuram section of National Highway. It is just 15 minutes drive from Walajabad Bus Terminus and Railway Station (Hub). It is 15 kms from ORAGADAM - One of the largest industrial hubs in South Asia with Automobiles, Bio-Tech, IT and Electronics units. It will be home to 22 fortune 500 companies. The Front-ranking technology majors like Renault Nissan, Apollo Tyres (135 Acres), Daimler AG, Komatsu, Allison Transmission, unipress, NSK ABC, mega tech, Delphi TVS, Royal Enfield, Toyata Tsusho India Pvt Ltd, Asian Paints, etc., have set up their facilities. The National Automotive Testing and R&D Infrastructure Project (NATRIP), the largest and most unique of its kind in 304 Acres is coming up in the area. Railways on 1st March 2016 opened the auto hub at Walajabad near Chennai for transportation of cars by rail. Presently 4 percent automobile traffic are transported through railways and approximately Rs.100 crore revenue has been collected during financial year 2015-16 through this transportation. Spreading over 5000 sq meters. the auto hub is located near Oragadam, Sriperumbudur and Singa Perumal Kovil areas which are having the manufacturing facilities of Nissan, Hyundai, Ford and Daimler Chrysler . The auto hub near Chennai will have loading capacity of 300 vehicles. Premier educational institutions like Adhi College of Engineering & Technology, Lord Venkateshwara Engg. College,Ayyappa Engineering College, Venkateshwara Engg. College and St.Joseph School are located nearby. The layout is located amidst lush green surroundings with fertile soil. The Ground water is sweet and potable. To Top it all, a truly worthwhile investment / livable property with great return for money. APEX - Asset Promotion EXperts. Apex Real Estates is a real estate firm with a difference. It has been founded on the conviction to power the customer through its expertise in all Real Estate dealings. The Apex Real Estates, with it's dedicated team is aimed to maintain excellent standards and is looking forward to a long and fruitful association with its customers. For them the motto is 'Customer is the King' and 'Customer Satisfaction is the key mantra'. Apex Real Estates is committed to bring rich rewards to its customers in the purchase or re-sale of plots. It assures the customers excellent dealings in the choice of layout, reasonable price, loyal service and professional advice. On the existing Kanchipuram - Walajabad - Puthagaram rural highway and just near the Puthagaram Bus Stand. It connects two major Highways viz Vandalur-Kanchipuram SH and Chennai-Bengaluru NH. Convenient bus services from Puthagaram to Kanchipuram and other places. 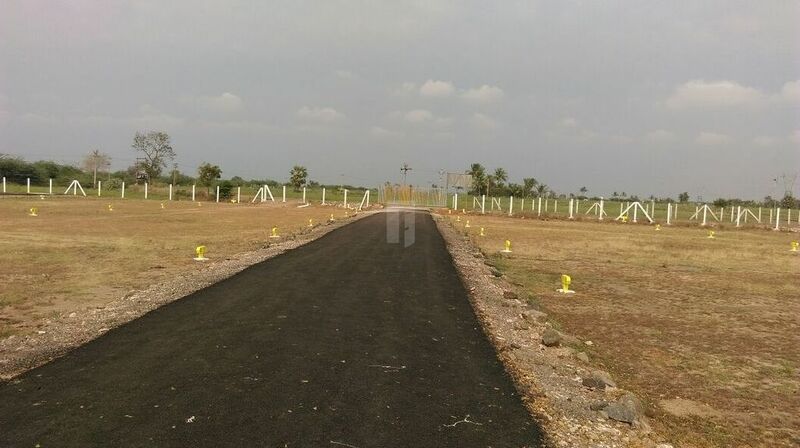 Layout is situated in tranquil surroundings away from the Sipcot industrial belt. 15 minutes drive to proposed Green Field Airport. Well Laid-out plots,DTCP Approval No.03/2017. Clear title & Very reasonable price. APEX – Asset Promotion Experts. APEX Real Estates is a real estate firm with a difference. It has been founded on the conviction to power the customer through its expertise in all Real Estate dealings. The APEX Estates with it's dedicated team is aimed to maintain excellent standards and is looking forward to a long and fruitful association with its customers. For them the motto is ‘Customer is the King’ and ’Customer Satisfaction is the Key Mantra’.